Just back from a week at the Ivory House and it was wonderful! A lot of thoughts have been put through the design of this house, it is absolutely magnificiant! Mr Sunil (the house manager) and his team are so lovely, the service is efficient without beeing in your face all the time. And as for the food, it was fantastic, Mr Sunil's currys are delicious, so were all the other meals. Food was much better at the villa than in any other places we visited. The Ivory house was perfect for a group of friends like us or for a family. It is really quite, the garden and the pool are devine. 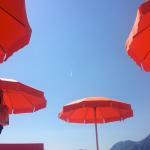 We even saw monkeys jumping from tree to tree while swiming in the pool, so unreal!. It is trully the best private house we've ever stayed at, like a luxury resort without the noisy other guests! Can't wait to return! 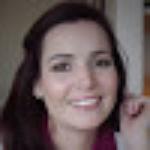 I've just returned from the most amazing week staying at the Ivory House in Galle, Sri Lanka. 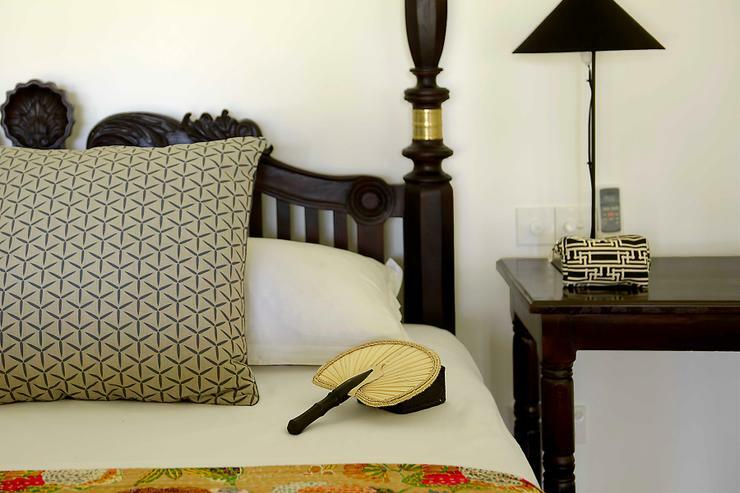 The Ivory House is one the most tastefully designed and comfortable villas I have ever had the pleasure to stay in. From the moment you arrive at this stunning house, set amongst lush grounds overlooking the rice paddies and your own 20 metre pool, you are welcomed by the friendly staff with freshly made coconut juice and feel like you have arrived in heaven! The villa is truly spectacular, with 4 large bedrooms (3 with outside showers), spacious living areas, polished concrete floors, high ceilings, exquisite furnishings, a stunning balcony which overlooks the grounds and rice paddies, you know you've discovered something very special. The staff are extraordinary. Mr Sunil, the house manager and cook, is an absolute gentleman and cooks the most amazing breakfasts, lunches and dinners. His curries are the best I've eaten on the island (if not anywhere) and despite enjoying a number of restaurants in the area, I have to say Mr Sunil's food surpasses them all! Suranga mixes the most incredible cocktails and some of my fondest memories were lying by the pool to be served a perfect Bloody Mary, Caprioska, Mohito or G&T and don't even get me started on the martini/s before dinner! All the rest of the staff are wonderful and will do anything they can to make your stay wonderful. The wildlife never fails to amaze - from the occasional goanna or mongoose walking by the end of the pool, the stunning birds in the palm trees, the water buffalo in the rice paddies, to families of monkeys playing in the tree tops (an absolute highlight). All in all, this is the most incredible experience and holiday you could possibly have. I can't wait to go back and enjoy not only this beautiful villa but also the incredible hospitality of Mr Sunil and his wonderful staff. We stayed at this utterly blissful private Villa for 8 days and enjoyed every minute of it. 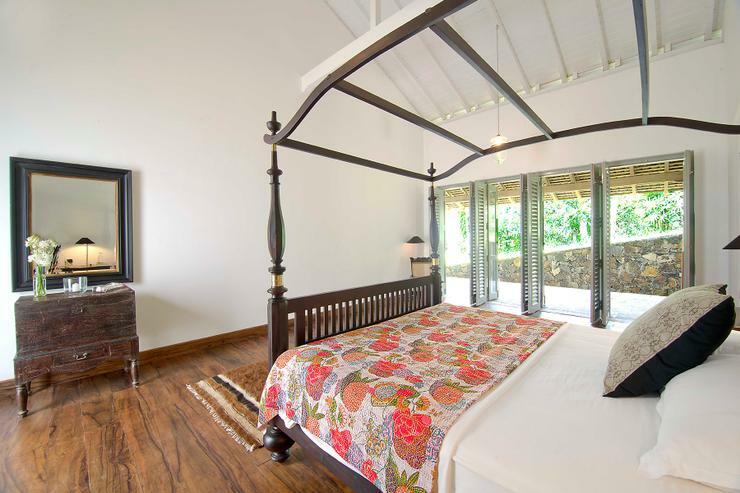 Ivory Villa is located inland, about 15 mins easy drive through the countryside to Galle and offers tranquillity and a relaxed atmosphere amongst nature, and in the vicinity of a small village. A stunning restoration of a pre-existing house, sits in view of paddie fields and is surrounded by a meticulous maintained garden with a 20 meters pool and very comfy sunbeds. 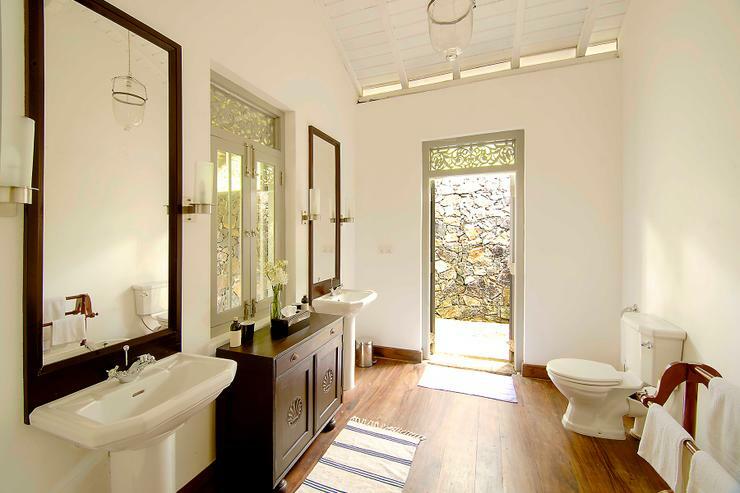 I am guessing the owners must have a Love for the Amangalla's design as the Villa is resembling similar configurations; colonial features blended with minimalistic and subtle differences in interior and design. 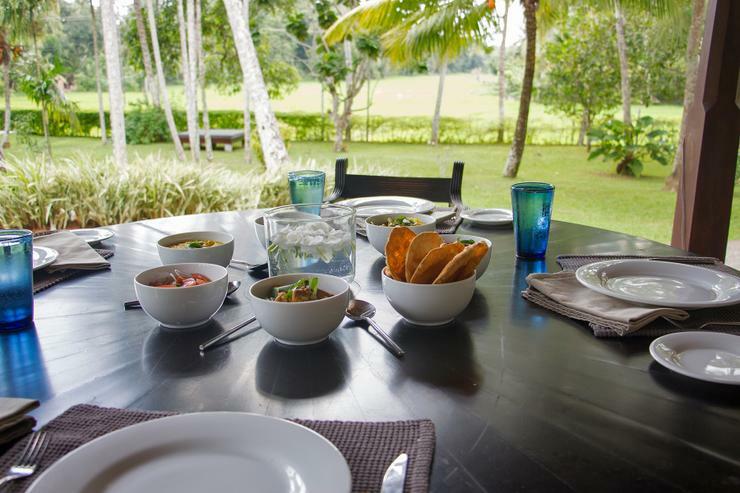 The Villa comes with a staff team of 4, headed by Mr. Sunil as Manager who without reservations, is one of the best chefs one can find in Sri Lanka. His tropical Salade Nicoise, Gourmet soups (do not miss!) and other impressive dishes make a diet-on-holidays practically impossible. His colleague Suranga, as many have already mentioned, will whip up some mean cocktails and is very helpful to organize trips, driver etc. The Gardener and Housekeeper keep the place in perfect shape. 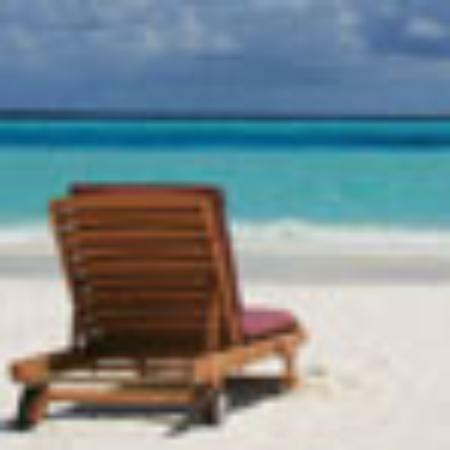 We recommend the place for couples, families or small group of people who like to get away from everything crowded, love nature and comfort hospitality, and basically like to have a relaxed and a Tuscan-style holiday in the tropics. Stock up on some favourite alcohol at the airport or get it at the bottle shop in Galle. A daily nominal charge for food is charged; check with the owners during booking. 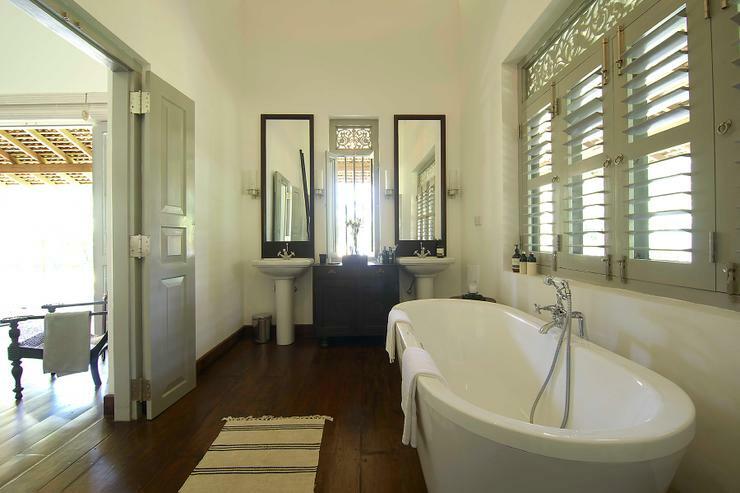 Ivory House is a beautiful house off the beaten track near Galle. 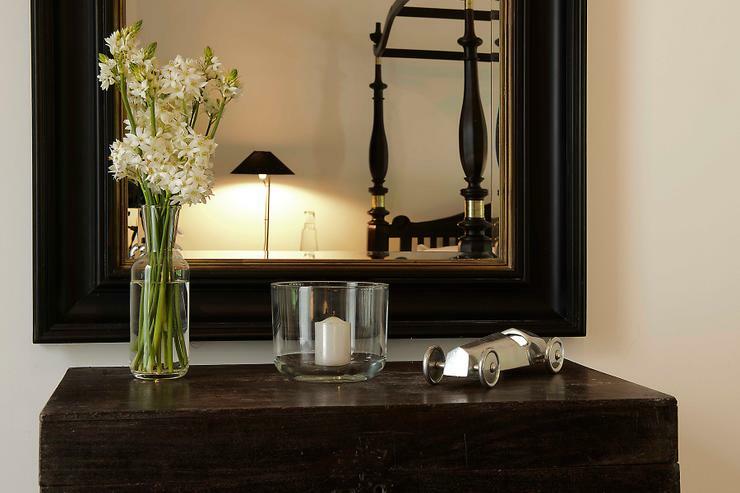 The house is furnished and decorated to a very high and stylish standard. 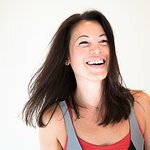 The staff are amazing. Helpful and patient with our little tribe of toddlers and producing the most wonderful meals and level of service to provide a memorable and special holiday for a family celebration. 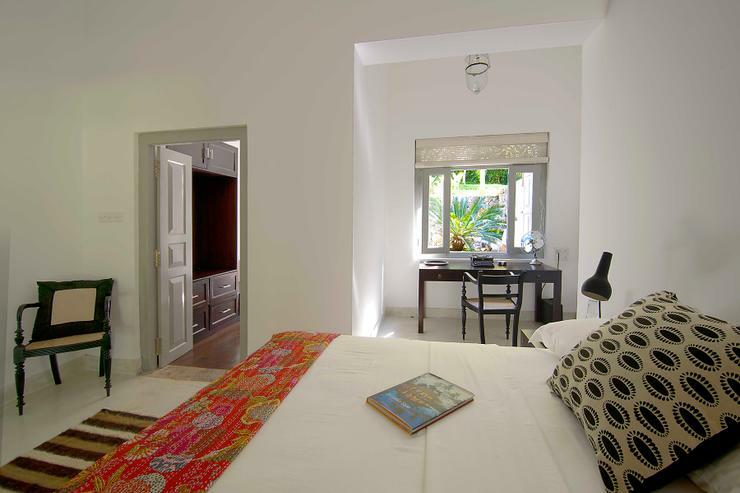 Within a tuk tuk ride of Galle this is the perfect place to stay. Spent a wonderful 10 days over Christmas at Ivory House. The property is not only stylish and supremely comfortable, it's extremely well-appointed for adults and children alike. The place is managed by an incredible in-house team of staff and the villa management company, whose concierge service did an excellent job organising our transfers, activities, nanny service etc; they even ordered wine so that it was chilling for us at the house when we arrived at the start of our holiday. 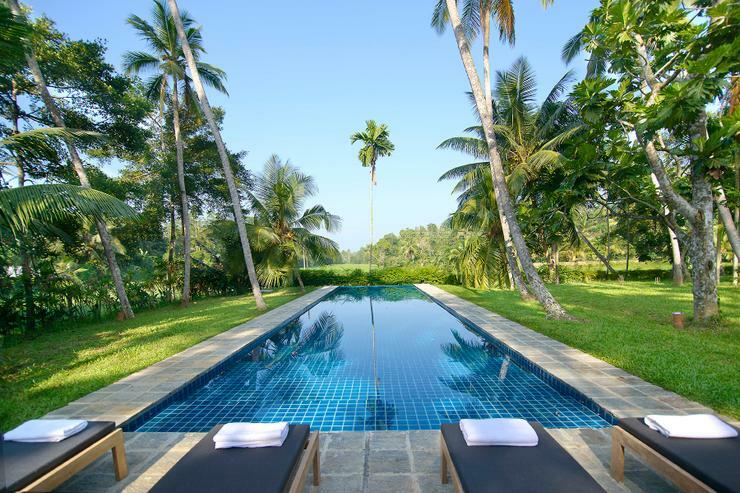 The villa is located conveniently for trips via tuk tuk to Galle, the beach plus there are other attractions and lovely restaurants all within easy reach. 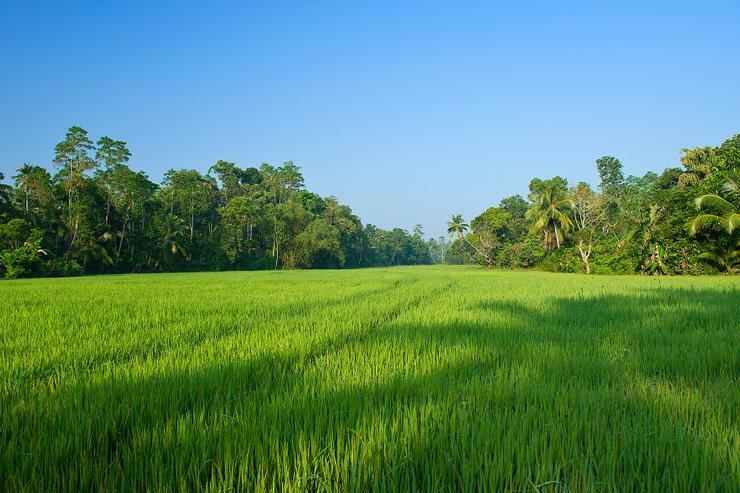 Alternatively, it's a lovely spot just to relax for days on end, either by the pool under the palm trees or on the verandah, overlooking the rice paddy fields. As much as we loved Ivory House, I have to give a special mention to the in-house team of staff who welcomed us so warmly and provided the best in Sri Lankan hospitality. 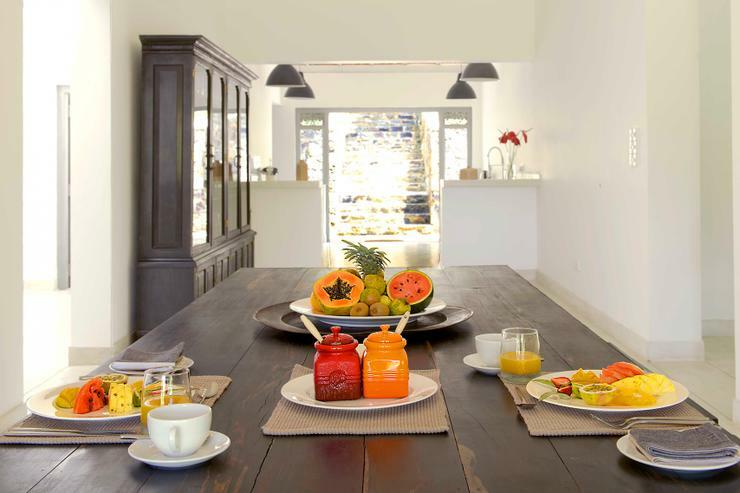 The villa was kept immaculate throughout our stay, laundry service was included and we were lucky to be served the most delicious food prepared by the in-house chef. Both Sri Lankan and international dishes were offered and we enjoyed every single meal. 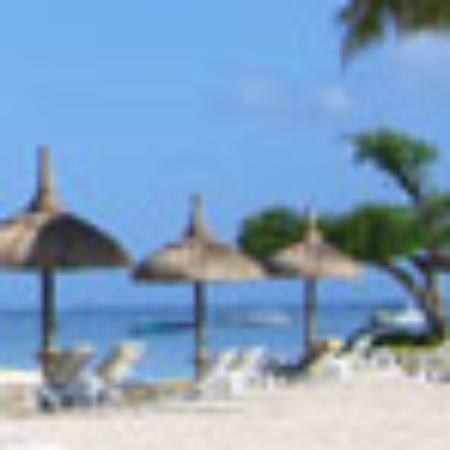 The top-notch service was all provided with genuine smiles and, as a result, we felt at home right away and were extremely sorry when our holiday came to an end. Thank you Ivory House - we'll definitely be back. Situated 30 min tuk tuk ride from Galle Town. 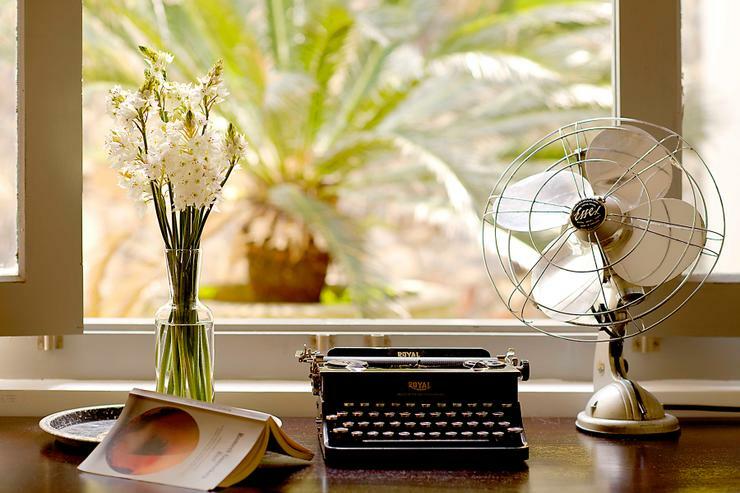 A tastefully decorated and comfortable house. With superb staff, nothing was to much trouble, and a chef who had worked in embassies around the world. Super food, and great supporting staff. Perfect holiday in the jungle! We had a lovely week long stay at Ivory House in late February, we were a group of 4 adults and one 2.5 year old. 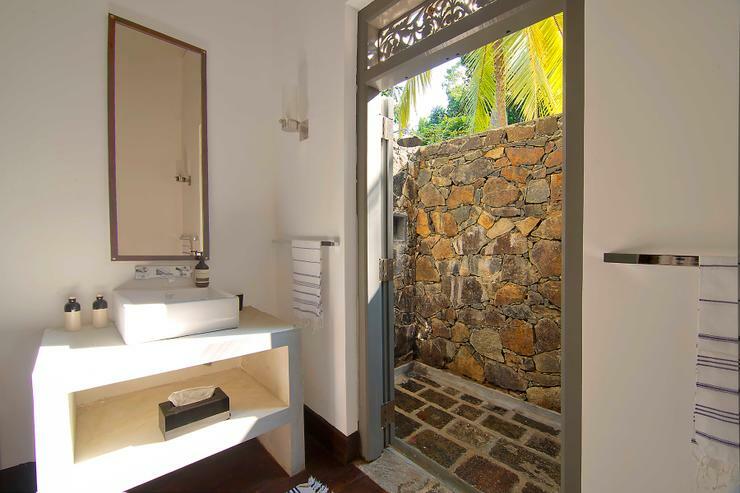 The villa itself is lovely, it is a renovated Dutch Colonial house with 4 large bedrooms. The villa interiors are contemporary and very comfortable. The villa surrounds are beautiful; if you are a nature lover you will love this villa! The monkeys in the trees behind the villa kept us entertained each day with their antics! And the variety of birds and other wildlife brought much wonderment. Sunil and his team at Ivory House are fantastic and the food is top notch. Having stayed in a number of villas in and around Galle I can confidently recommend Ivory House to anyone considering a jungle escape! 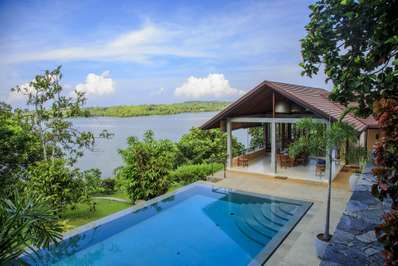 The Ivory House is located about a 10 minutes drive from the beautiful coastal area of the historical town of Galle. Perched on an elevated area and overlooking a rural paddy field, the Ivory House is surrounded by beautifully manicured gardens. 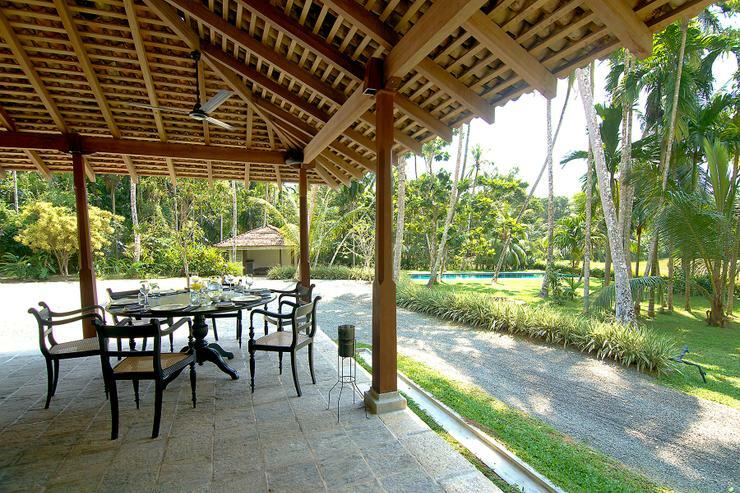 The villa is about 116 kms from Colombo and can be reached via the Southern Railway and the Colombo-Galle main coastal road. Air taxi services are available from the Bandaranaike International Airport in Katunayake to Koggala. Located in Koggala, Koggala Lake and surroundings. South Point Cottage is a in Sri Lanka.